Picturesque backgrounds of magnificent colors, lush waterfalls, rivers and streams, forests, and trails compose the Grand Canyon, an 18-mile wide, 277- mile long landmark that thousands of tourists from around the world flock to see each year. Touring the Grand Canyon is always an event to remember, since a firsthand experience fulfills your senses and leaves you inspired and in awe at the discoveries you’ve found. If you’re packing the RV and hitting the road for a Grand Canyon tour soon, be sure you get off the beaten path to discover some of the best hidden treasures offered in the entire state. Choosing to take your adventures on the roads (and paths) less traveled helps you find so many more special treasures. When you keep your eyes open wide, with a mind set on finding the unknown spots, the magnificent and untouched rock formations, and more, your Grand Canyon adventure comes alive. 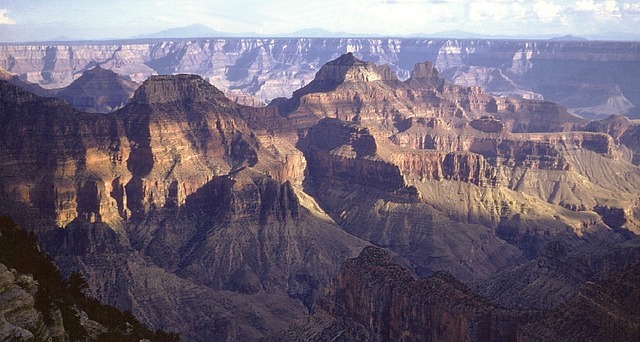 The Grand Canyon has lodging for visitors at both the South and North Rim entrances, including hotels and campgrounds. But, choosing to stay in lodging that isn’t quite so forthcoming gives your Grand Canyon adventure a unique thrill that you would otherwise miss. Check the map for these secret lodging spots in the Grand Canyon while on your RV trip, and travel back home with plenty to talk about. 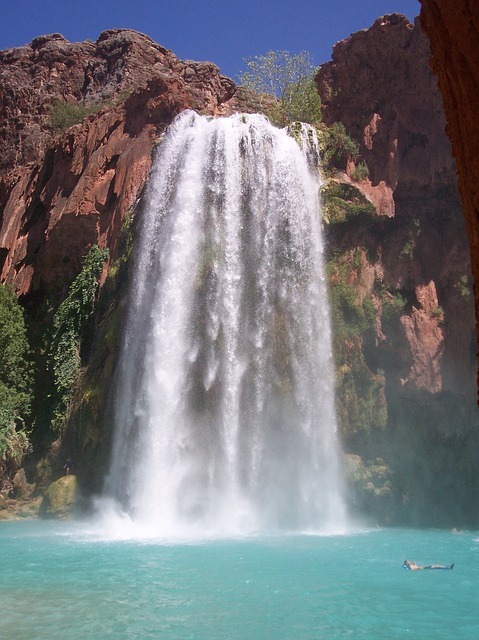 The Havasupai Indian Reservation is located on the North Rim of the Grand Canyon. Visitors enjoy touring the reservation, exploring the lifestyle of the Supai Indians, as they enjoy immaculate scenery that includes delicate waterfalls and red rocks that make the Supai reservation unique from other areas of the park. Park your RV inside the Grand Canyon Park, and begin hiking the 8-miles to the reservation. If you prefer, horseback rides are also available. Along the way, you’ll notice a plethora of rock formations, plants, flowers, and animals, each providing unique flair to your trip. Upon arrival at the reservation, schedule a tour of the grounds and discover a special way of life for the nearly 800 inhabitants of the reservation. Be sure you plan time to spend at the Havasu Creek, where carbonate mineralization caused the waters to turn a brilliant hue of blue-green. As you venture to the creek, you’ll discover many treasures to cherish. Located on the North Rim of the Grand Canyon is Toroweap, an undeveloped area situated some 60-miles from the nearest town. There’s no running water and no services on Toroweap, but the views make it well-worth the hike. Toroweap sits 3,000 feet above the Colorado River, with a nearly vertical drop -and view- into the river below. Accessing Toroweap means you’ll travel via one of three dirt roads. These roads are very rocky, and sometimes hard to drive. Just ask any of the tourists who’ve experienced flat tires along the way. When you’re satisfied with the scenery and want to call it a night, take your pick of nine campsites. These campsites are free, but provided on a first-come, first- serve basis. Located at the end of a lonely 18-mile road is Point Sublime. 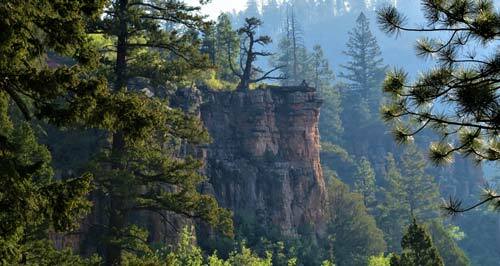 Situated at the North Rim, Point Sublime takes about two hours to reach by car via an unpaved road. But, the panoramic views of the Canyon are superb from the point, making it a rip well-worth the endeavors. While there’s no river or canyon access from Point Sublime, there’s plenty to explore while in the area. 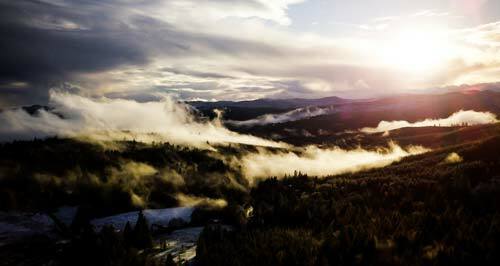 Camping is permitted with a backcountry permit. Choose your camping location carefully. Many fantastic landmarks provide perfect camping spaces if you’re bold enough to spend a night out with the wild. No trip to the Grand Canyon is complete without a drive down the infamous Route 66, where western world meets modern day, and the landmarks, sights, and stops are plentiful. 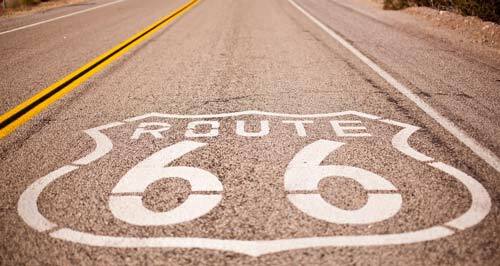 The 1960’s style caverns sit along a 100-mile stretch of Route 66. You’ll discover caves sitting 210 feet below the earth’s surface, the Supai Waterfalls, and so much more. When exploring is done for the day, you can spend the night at the RV park where water and hookups are available. Or, treat yourself to an extra-special adventure, and spend the evening in the caverns hotel. The Ranch House is also a lodging option. A four-mile hike to Cape Final offers immaculate scenery, a great overlook to the waters below, and backcountry camping by permit. Permit costs $10 per person, and there is a nightly camping fee in addition to the permit costs. Visitors to Cape Final can set up camp one-half mile before the road’s end. You’ll discover ravines, red buttes, cliffs, and many wild animals, birds, and plants as you embark upon your excursion in Cape Final. This area is open during the months of May – October, but usually closes in winter due to heavy snowfall.